Bown, Stephen. White Eskimo: Knud Rasmussen’s Fearless Journey into the Heart of the Arctic. Boston: Merloyd Lawrence Books, Da Capo Press, November 2015. Heyes, Scott A. and Kristofer M. Helgen, eds. Mammals of Ungava and Labrador: the 1882-1884 Fieldnotes of Lucien M. Turner together with Inuit and Innu Knowledge. Washington, DC: Smithsonian Institution Scholarly Press, January 2014 (print), February 2014 (ebook). Hince, Bernadette, Rupert Summerson and Arnan Wiesel. Antarctica: Music, Sounds and Cultural Connections. Canberra, Australia: ANU Press [Australian National University], April 2015. *Barnett, James K. and David L. Nicandri, eds. Arctic Ambitions: Captain Cook and the Northwest Passage. Seattle: University of Washington Press, March 2015. Co-published with the Anchorage Museum, the Cook Inlet Historical Society, and the Washington State History Museum. *Bartholemew, Bruce. Savoonga Ivory Carvers: A Yupik Walrus Ivory Carving Tradition on St. Lawrence Island, Alaska. Hong Kong: CA Design, December 2015. Boulter, George E. II and Barbara Grigor-Taylor, compilers and annotators. The Teacher and the Superintendent: Native Schooling in the Alaskan Interior, 1904-1918. Edmonton, Alberta: Athabasca University Press, December 2015. *Duyker, Edward. Dumont D’Urville: Explorer and Polymath. Dunedin, NZ: Otago University Press, September 2014. Honolulu, USA: University of Hawai’i Press, April 2015. Grey, Minnie and Marianne A. Stenbaek, eds. Politics. Vol. 9-10 of Voices and Images of Nunavimmiut. Montreal and Kingston: McGill-Queens University Press, August 2015. Haddelsey, Stephen with Alan Carroll. Operation Tabarin: Britain’s Secret Wartime Expedition to Antarctica, 1944-46. Stroud, UK: The History Press, April 2014. Hilder, Thomas R. Sámi Musical Performance and the Politics of Indigeneity in Northern Europe. Boulder: Rowman & Littlefield, October 2014. Jokela, Timo and Glenn Coutts, eds. Relate North 2014: Engagement, Art and Representation. Rovaniemi, Finland: Lapland University Press / Lapin yliopistokustannus, November 2014. *Johnson, Charles W. Ice Ship: the Epic Voyages of the Polar Adventurer Fram. Hanover, NH: ForeEdge, an imprint of University Press of New England, October 2014. *Jørgensen, Morten. Polar Bears on the Edge: Heading for Extinction while Management Fails. Dresden: Spitsbergen-Svalbard.com, April 2015. Leonard, Stephen Pax. 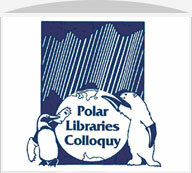 The Polar North: Ways of Speaking, Ways of Belonging. London, UK: Francis Boutle, October 2014. Liggett, Daniela, Bryan Storey, Yvonne Cook and Veronika Meduna, eds. Exploring the Last Continent: an Introduction to Antarctica. Cham, Switzerland: Springer International, September 2015. Miller, Barbara Helen, ed. Idioms of Sámi Health and Healing. Edmonton, Alberta: The University of Alberta Press, November 2015. Ninnis, Belgrave Edward Sutton (Allan Mornement and Beau Riffenburgh, eds.). Mertz & I…: the Antarctic Diary of Belgrave Edward Sutton Ninnis. The Erskine Press, November 2014. *Powell, Richard and Klaus Dodds, eds. Polar Geopolitics? Knowledges, Resources and Legal Regimes. Northampton MA and Cheltenham: Edward Elgar, January 2014. *Smith, Gordon W. (P. Whitney Lackenbauer, ed.). A Historical and Legal Study of Sovereignty in the Canadian North: Terrestrial Sovereignty, 1870-1939. Calgary: University of Calgary Press, November 2014. Watt-Cloutier, Sheila. The Right to Be Cold. Toronto: Allen Lane, March 2015. White, Dr. Thomas L. Contaminants in Freezing Ground and Permafrost Terrain. Boulder, Colorado: Linden Research Group Inc., April, 2014.